The new Branson IMAX is one of the most interesting places to visit at any time of year as this is one of the most visited attractions in Branson where you can watch classic and blockbuster movies. Such great movies can be enjoyed in one roof. Whether you want to watch live entertainment shows, a favorite Hollywood film or you just want to go shopping with fine dining, you can have both at the new Branson IMAX Entertainment Complex. The theaters at Branson IMAX all feature a giant screen with a height equivalent to six stories and a width of 83 feet using cutting-edge film technology. Watching any kind of feature movies at any of the theaters inside the complex will surely give you a wholesome fun as you will be enjoying listening surround sound system which features 22,000 watts with heart-pounding tunes. Included in the list of featured films at Branson IMAX are several classic movies and many other new blockbuster movies. 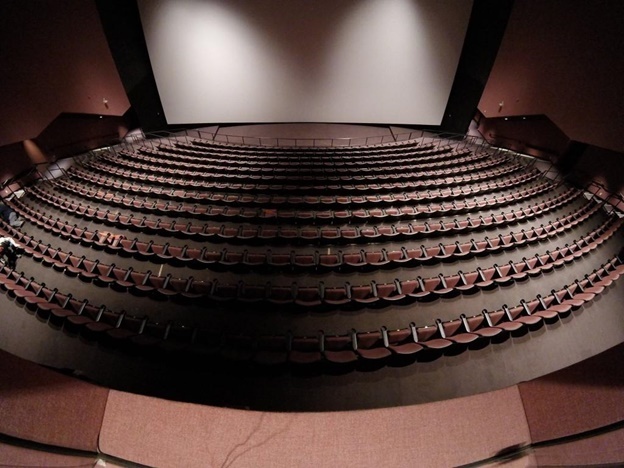 Many of the theaters at the complex not only feature entertaining blockbuster movies but also educational presentations that focus on educational aspects of the film. Aside from the spectacular movies that you can see at the complex, you can also watch great live entertainment shows at some theaters. These live shows can be enjoyed at the Little Opry Theater featuring some of the famous shows in Branson that include the Petersen Family Bluegrass Band, Johnny Cash Songbook, A Tribute to John Denver, A Tribute to Marty Robins, Smoke on the Mountain, Hank Williams Revisited, and Patsy Cline Remembered. Branson IMAX Entertainment Complex is not only famous of showing classic and blockbuster movies, you will also enjoy inside the complex great shopping and dining in fulfilling your shopping list and cravings for delightful foods. This full-service entertainment complex in Branson is designed to give you more than a movie and live show experience. The complex has a shopping area that features sixteen different specialty stores offering an array of unique items that range from arts and crafts, collectibles, jewelries to hard-to-find items making the complex a great vacation destination in the Ozarks. Once you have enjoyed a great fun and excitement by watching many of your favorite Hollywood movies at Branson IMAX theaters and after you have purchased unique items from shopping places then it’s time for you to energize your body after a long day of buying spree. Try now to indulge yourself with a delicious meal at some of the snack shops inside the complex. The food court inside the complex features the Fudgery shop where you can find delicious fudge, bulk candies, and other sweet treats. You will also find great dining spots inside the complex that include Montana Mike’s Steakhouse, B askin Robbins and Quiznos, McFarlain’s Family Restaurant, Breadeaux Pizza, and more. Branson is such a great place to experience fun activities in just one roof where you can watch and enjoy classic movies, live shows, shopping, and fine dining at the Branson IMAX Entertainment Complex.